How do I use Coupon Codes? Coupon Codes are a great way to promote and grow your business. You can offer discounts for new users to incentivize them to download the app, reward repeat riders, and it's also a great way to introduce yourself to Corporate Accounts like hotels, restaurants, or resorts. With hundreds of clients emails at your disposal, you can do flash Sales and offer special ride discounts on Holidays or special occasions. Running a Google Adwords Campaign? You can use the codes to track the efficacy of your campaigns. The first step is to go to Pricing --> Coupon Codes --> and click 'New Coupon'. 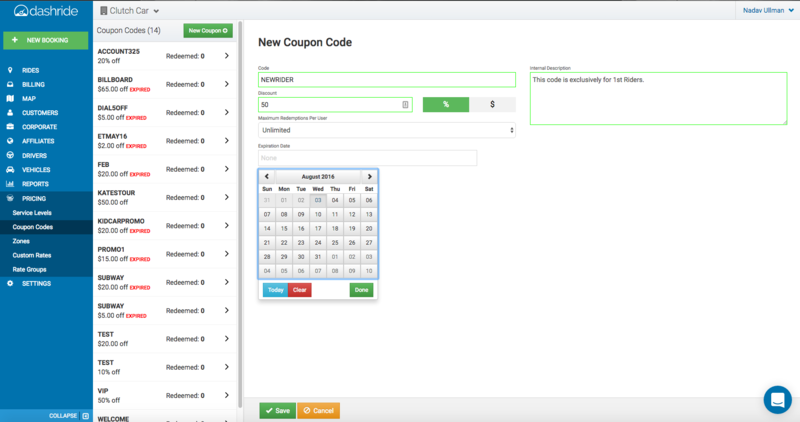 Add the name of the coupon such as 'PromoSubway', then enter in the amount of the code. This could be in flat dollar amount of percentage of the ride. Indicate the maximum redemptions per user who has the code, and the expiration date for the code. Once this is complete, on the bottom of the screen, be sure it hit 'Save'! The next step is to apply the Coupon Code to a booking. 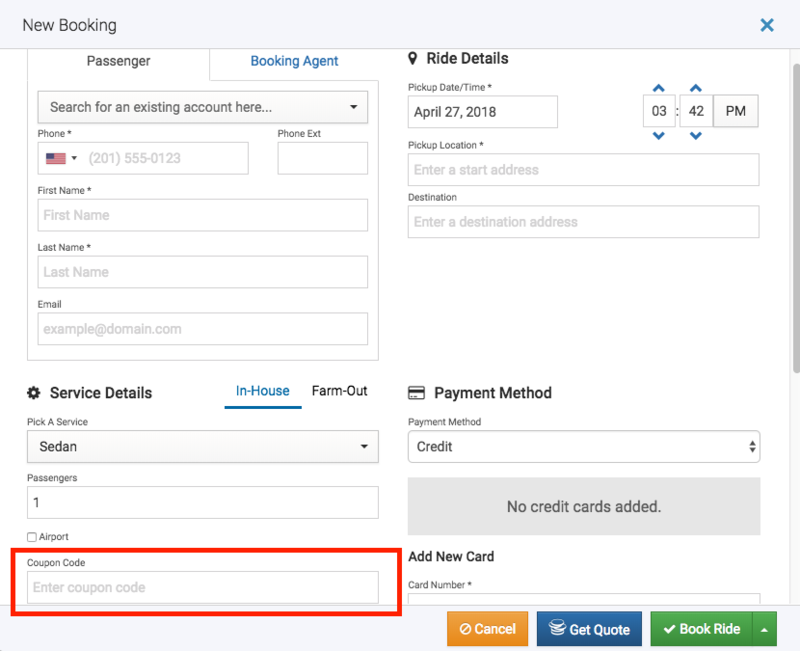 When creating a new booking there will be a 'Coupon Code' box. Enter the coupon there for it to be applied to that booking.